ShirleySienna now has a small retail outlet, 'ShirleySienna's Little Shoppe', in Crib Point. Note: If the 'OPEN' sign is displayed in the window, you are most welcome to ring the doorbell and come in for a browse. Gift Vouchers are always available to purchase for products or private bookings or classes. ShirleySienna is offering a reduced price on gift vouchers for readings. 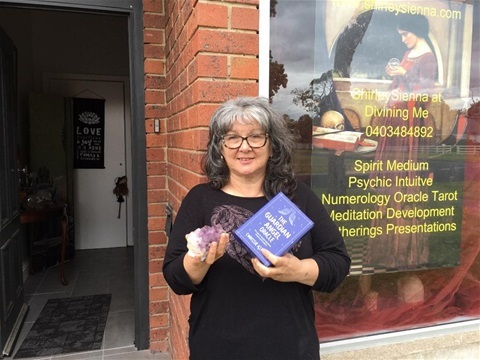 - voucher for a one hour personal reading with ShirleySienna - $100. Gift vouchers are also available for use in ShirleySienna's Little Shoppe, or for any of ShirleySienna's meditation sessions or workshops. These can be made out for any value required.